D-Inventions Technologies is an independent e-solutions company that provides a series of integrated web services on a global basis. We are focusing on a diverse business portfolio by providing innovative, unique and cost effective software solutions for various clientele around the globe. We have expertise in Web application development using Composr, other open source frameworks & e-commerce applications. 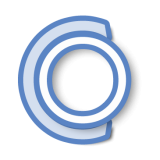 ocProducts is the primary sponsor for Composr CMS, managing the development and hosting the community. The ocProducts CEO is the original and current Composr lead developer, Chris Graham. We primarily serve clients in the US and UK.